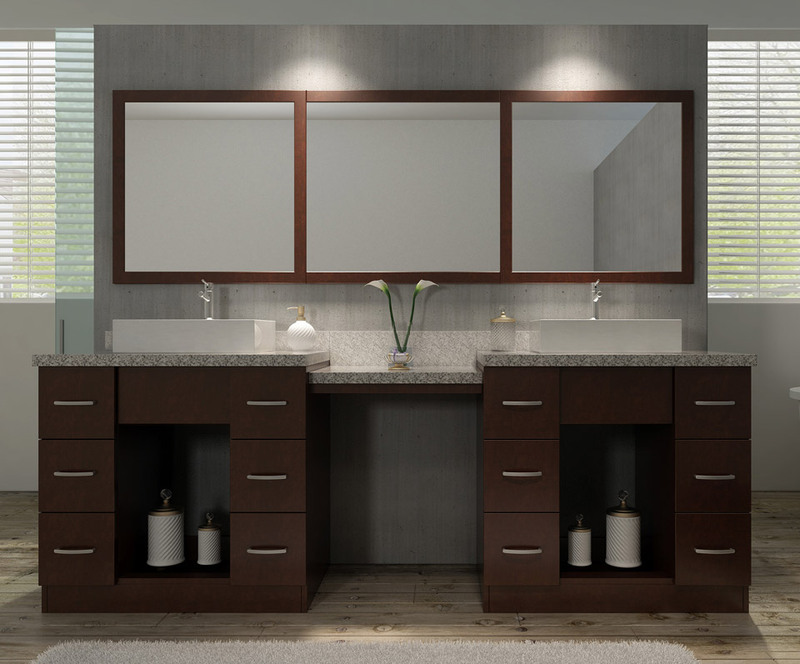 The Roosevelt bathroom vanity series from Ariel Bath includes everything needed and more in a bathroom upgrade. The solid wood cabinets are topped with a light granite countertop and the ceramic vessel sinks include room for single hole, single lever faucets. The cabinets are connected with a makeup table and include two uncovered areas for additional bathroom storage.